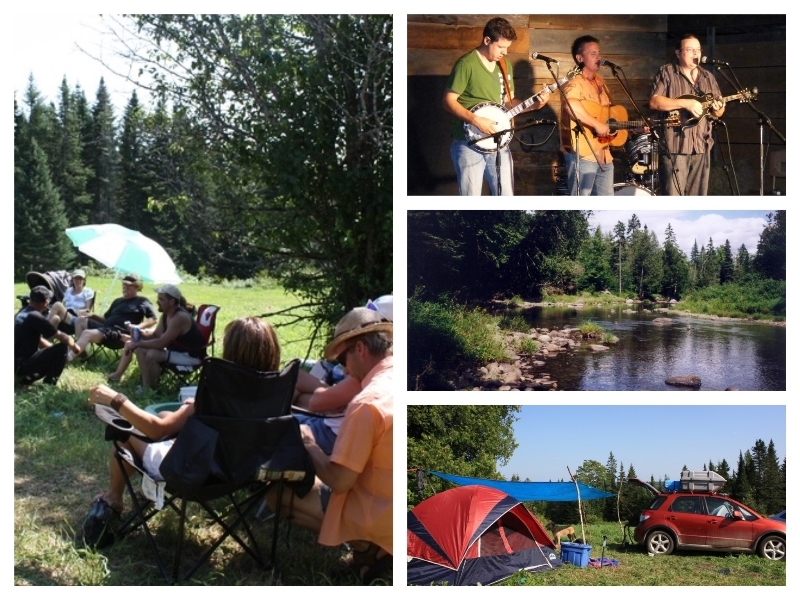 Tay Ridge Farm, situated just 25 minutes north of Fredericton, will be hosting the ninth annual Tay Creek Folk Festival from July 22nd to 31st, 2016. An array of musical genres will be featured, including Folk, Country, Blues and Bluegrass, Celtic, Classic Rock, and Soul. The festival kicks off at 6:30 pm on Friday, July 22nd with a traditional performance by Fiddlers Fancy on the main stage. Both weekends (July 22–24 and July 29–31) will showcase more great musicians from across North America, including Phoebe Legere from New York, Peter Mason from British Columbia, Crosscut Blues Band from Fredericton, and Stanley’s own Jon Soderman. Fun activities and workshops will be held throughout the entire 10 days of the festival. Festival goers can also take part in jam sessions in the Jam Tent and enjoy Puddleducks Café; a BBQ; activities for children of all ages; hiking; and swimming in the River Tay. Earlybird tickets only $35 for all shows (includes camping), No charge for children aged 16 and under and well-behaved dogs! TONY’S MUSIC BOX, 396 Queen Street, Fredericton, NB and HILLSIDE CONVENIENCE STORE, Main Street, Stanley, NB. Full details can be found by visiting the official website of the Tay Creek Folk Festival at www.taycreekfestival.ca. The Tay Creek Folk Festival showcases musicians from New Brunswick and beyond in a beautiful country setting only 25 minutes outside Fredericton. The hay-wagon stage and auditorium are under cover in a barn opening onto a large meadow with seating either inside or outside in the sunshine. There is camping for tents and RVs, a delicious food truck, Puddleducks serving coffee and other refreshments and a pancake breakfast on Sunday. Children and well-behaved dogs are welcome. The Tay Creek Folk Festival is convened by Pax PEACE ~ARTS ~EXCELLENCE, a registered not-for-profit organization promoting independent and collaborative efforts in the fields of visual arts, fine crafts, and musical and literary ventures within a caring world. We support the local musical community and some musicians have gone on to form bands after meeting at our festival. The music at the festival is ‘folk’ music in that it represents the ‘music of the people’ rather than the limited sense often understood by the term ‘folk music’. The Tay Creek Festival offers all genre of musical styles including Folk; Blues and Bluegrass; Country; Celtic; Classic and Indie Rock. There are a variety of music workshops and impromptu jam sessions, interesting crafts, and yummy homemade food. Most of our musicians come from the the Greater Fredericton area including the surrounding communities of Tay Creek, Stanley, and Taymouth. Recently we have expanded our stage to include a few regional Maritime acts and we have welcomed the odd travelling minstrel from away! We love to support new and up-and-coming artists many of whom have gone on to much bigger venues thanks in part to small festivals such as ours. The Festival is held each summer at Tay Ridge Farm, 3888 Route 620, Tay Creek, NB, E6B 1K2 (please note that Tay Creek is nowhere near Taymouth). There are 600 beautiful acres spanning the North and South Tay rivers to hike and explore as well as a swimming beach where you can take a picnic and your instruments, so don’t forget to bring along your hiking shoes and swimming gear. For more information please contact Jenny Jobbins at jennyjobbins@hotmail.com tel. 506-367-3133. This is a syndicated post. You can view the original post here: 2016 Tay Creek Folk Festival.